Smoked gold is THE finish if you’re looking to make a statement out of your everyday switches and sockets. 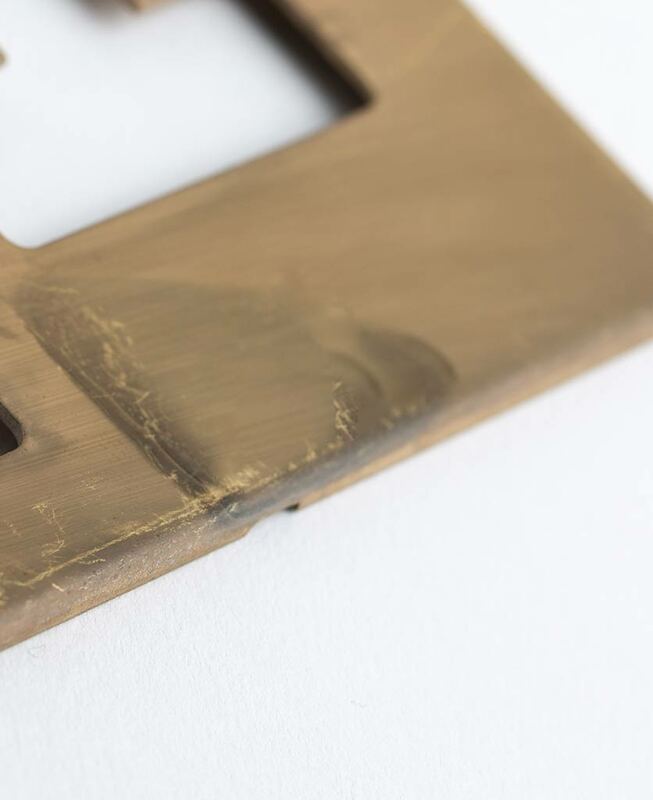 Featuring a gorgeous matt brass plate with swirling hues of charcoal, grey and navy drifting across the surface, this switch definitely isn’t one to shy away. We love, love, love this smoked gold triple rocker switch. It’s a real statement piece that’s perfect for adding character to your interiors. Chunky white plastic switches just don’t add the same designer flair to your spaces. 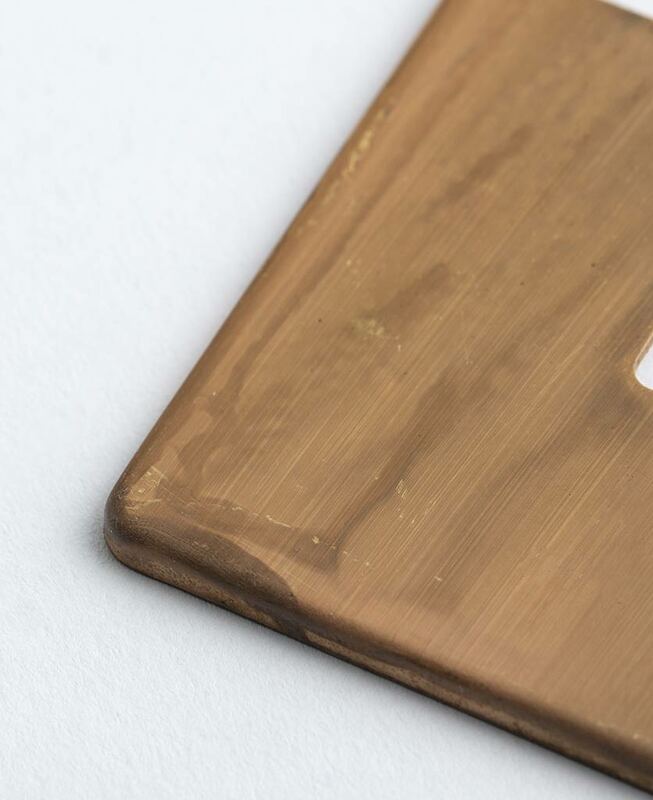 Our exclusively created smoked gold switches are hand finished, making each one individual and unique. 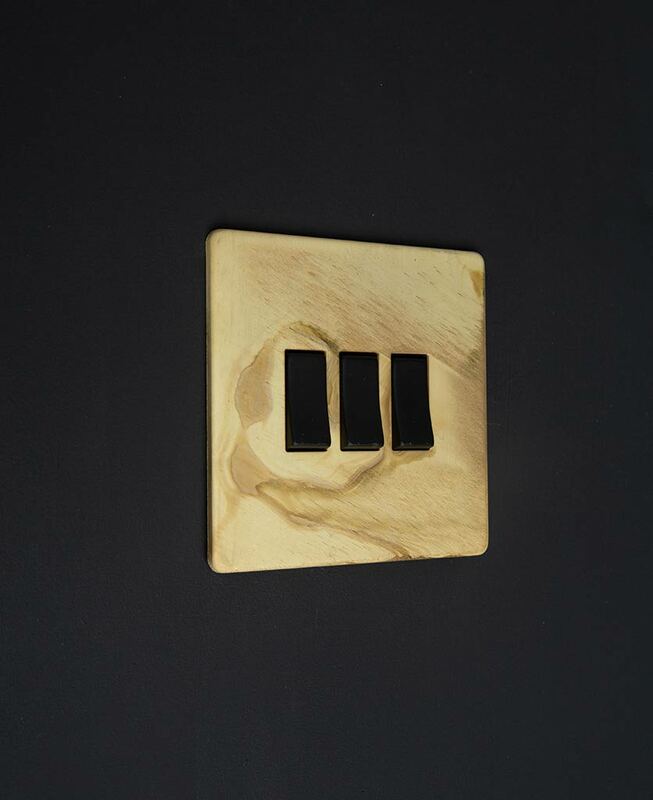 With stunning swirls of navy, grey and cappuccino eddying across the matt brass plate and gorgeously tactile rocker style switch detail, this light switch is sure to be envied and lusted after. 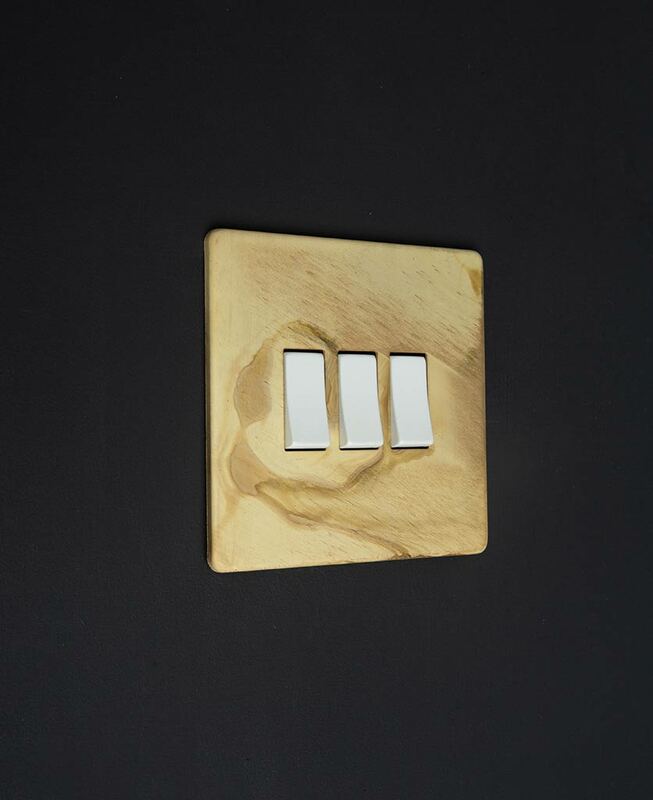 Designed here at D&R HQ our smoked gold switches and sockets range has everything you need to add a designer flair to your interiors, without the high-end price. Mix and match toggle switches, dimmers, sockets, data ports and appliance switches across your rooms for a sophisticated look with just a hint of industrial style.